Custom molded shoes are designed to provide the most ideal fit for your feet. They not only offer therapeutic support and comfort, but also accommodate any imperfections you may have. From significantly deformed feet like a Charcot foot deformity, to mismatched sized and shaped feet, to prevention of premade shoes deforming your feet, inhibiting performance, Otabo custom molded shoes can help. Custom molded shoes are always your best option when looking for the best shoes to fit all of your specific needs. 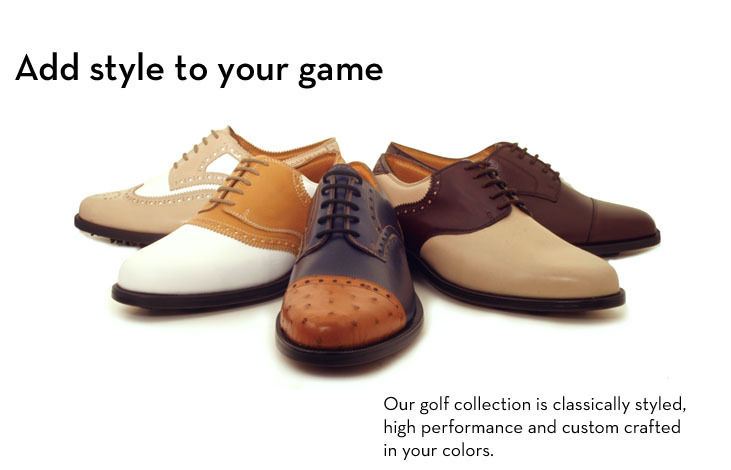 The Otabo brand offers a wide variety of custom molded shoes and golf specificshoes. We choose the Otabo brand because its the highest quality in craftsmanship of a custom shoe that both Linda and I have seen in our many years. Otabo shoes are handmade and crafted to fit every need of your feet. They offer style, comfort, and functionality, which leads to of course, healthy functioning feet! Otabo shoes provide you with a classic, sophisticated look and are made with 100% natural materials. Otabo shoes also are made to withstand the heavy pressure your feet may need to bear. If you are a serious golfer, Dr. Sables’ custom molded Otabo golf shoe is for you! It is rare that two feet are exactly alike. Therefore, most likely a premade golf shoe is deforming one of your feet. It may even be causing increased pressure and pain. This deformation will affect the function of your feet. With a custom molded golf shoe, you will allow your feet to maximize their function, and thus maximize the energy transfer from the ground to the ball. You know what happens next…an improved golf game and a more enjoyable 19th hole! Custom molded shoes will maintain the health of your feet throughout all your physical activities as well as your day-to-day activities. We carry a wide range of sizes and styles of Otabo brand custom molded shoes for both men and women. Otabo brand shoes are available in casual and dress styles and a range of golf shoes. Otabo will provide you footwear that is fashionable, comfortable, and gives you high quality performance. Call ArchMasters–Orthotics, Shoes &Footcare, llc. today at (615) 370-3000 to set upa consultation appointment with our certified pedorthist and podiatrist, Dr. David Sables to find out what will help you the most. ArchMasters, a shoe facility and a whole lot more!